Annie’s Gardens offers garden consultations, design briefs and concept drawings and the coordination and implementation of garden makeovers and landscaping developments for new homes. In addition, we provide regular garden care and one-off tidy-ups for homeowners and tenanted properties. 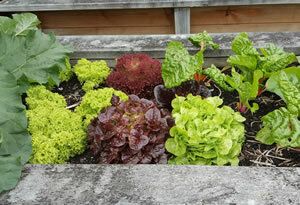 We even create seasonal gardens for your containers and establish vegetable gardens. If you like the idea of using our services, we provide an initial half hour assessment at no charge to determine which service or services would best meet your needs. Do you need someone to talk to about your garden? Your dreams and aspirations? Your challenges? Suggestions for plantings? I offer an onsite consultation for simple plant suggestions for a fixed fee, or if it is a bit more involved, then we can have a brief assessment (no charge) and decide whether to proceed with the development of a more detailed plant list, a design brief or concept plan, or head straight into re-development. After the initial assessment where we talk about your requirements and get a feel for the property and its’ environmental factors, we can proceed to a written description of the needs and potential solution and use this to guide our next steps. The design brief may be all we need to proceed with the project. If a more visual representation is preferred, then a design concept (top down view drawing to scale) may be drawn which suggests how the space could be used. From this point, we are able to provide quotes or estimates for the work. Perhaps you have an older property that is overgrown, tired or neglected and isn't meeting your needs. Or perhaps you have recently renovated or purchased a home and you want to create your own stamp and make the garden more usable or more easily cared for. Either way, we’ve had lots of experience doing just this and it is very satisfying for us to be part of giving your property a new lease-of-life. 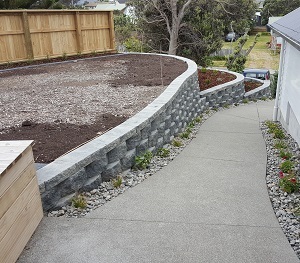 A newly-built house needs the finishing touch of a newly-built garden to set it off and create a usable outdoor environment. 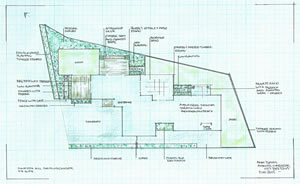 It is lovely to get together with an excited new-home owner and talk and plan their outdoor space. Making contact early in the building process if possible, enables us to make sure any requirements for use or access are catered for. Once the house is nearing completion, the final details of the outdoor development including plant selections may be finalized, and a programme for the hard and soft landscaping put in place. This aspect of our service keeps our team very busy. Many people find that while they love their gardens and see them as a real asset, time or physical ability restricts the amount of gardening they are able to do themselves. A tenanted property also needs to be maintained and landlords find our service ensures that their property looks cared for and their investment is protected. If all you need is for us to give your garden a thorough once-over we are happy to do this. If you prefer an ongoing programme, we will visit you at an interval that suits you best. We have clients who like a regular fortnightly or monthly visit, while for some, a seasonal one is all they require. 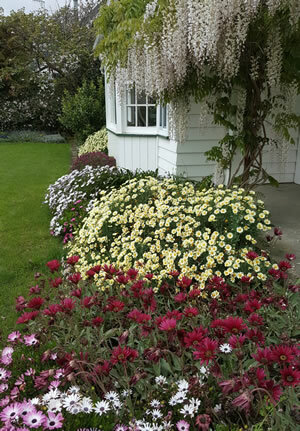 Sometimes all you need is a border re-planted or created, which we are happy to do. Perhaps you would like containers of flowers to lift your spirits. Strategically placed containers planted with seasonal colour make real impact at a front door or on a veranda, deck or patio. Raised vegetable gardens are also popular. We build them at a convenient height to sit on and a width which allows you to reach across comfortably. This convenient size, together with hoops covered in insect-proof cloth and good quality vegetable mix, makes the growing of vegetables so much easier, convenient and successful. 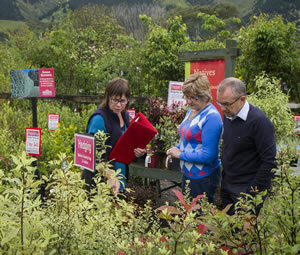 Do you need friendly professional advice on your garden project?